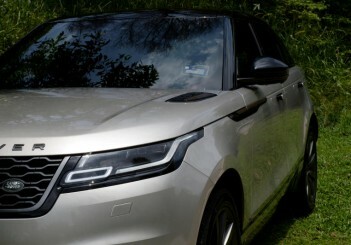 Easily one of the prettiest Range Rover models, the Velar is also well-endowed for driving performance and excitement. 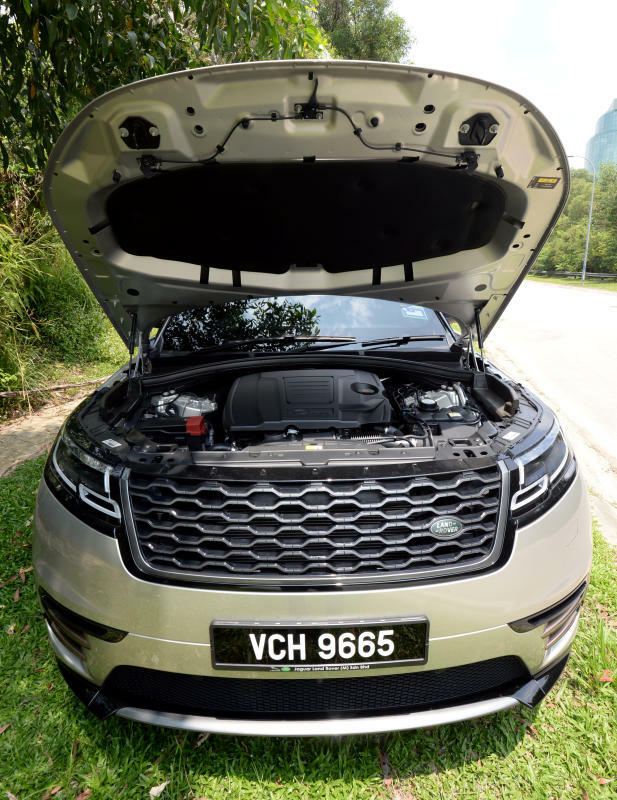 There are three petrol-powered variants of the Range Rover Velar luxury sport utility vehicle (SUV) here, namely the 2.0-litre Velar P250 as well as a more generously kitted R-Dynamic variant and the more powerful supercharged 3.0-litre Velar P380 (also in R-Dynamic kit). 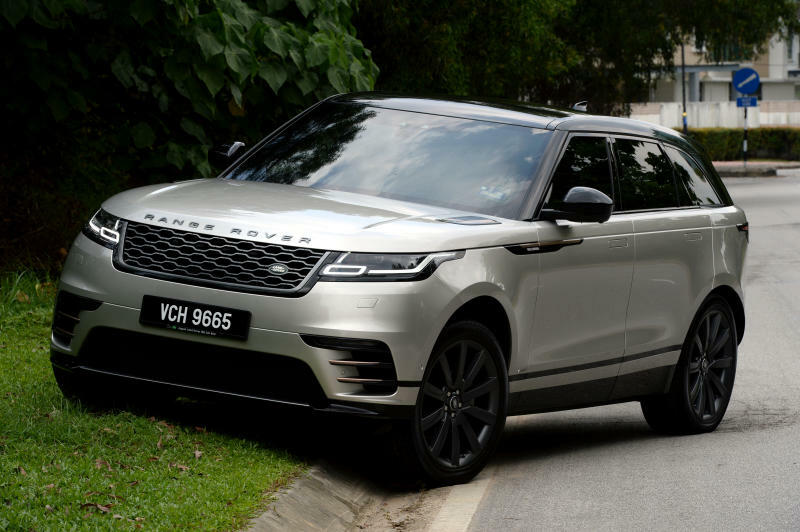 Our test drive unit is the R-Dynamic variant of the Velar P250, which will set you back some RM595,787. 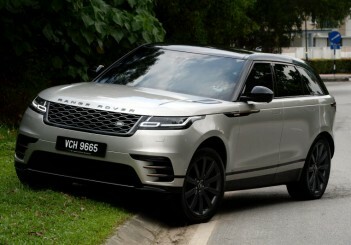 The entry-level Velar P250 is RM59,000 cheaper, but for the extra money, the R-Dynamic variant offers a sporty exterior body styling pack, larger 21-inch wheels (versus 20-inch wheels), perforated grained leather and suede cloth seats (versus just perforated grained leather seats), a head-up display (projects data like driving speed onto the driver's line of sight), a fixed panoramic roof and a surround camera system. 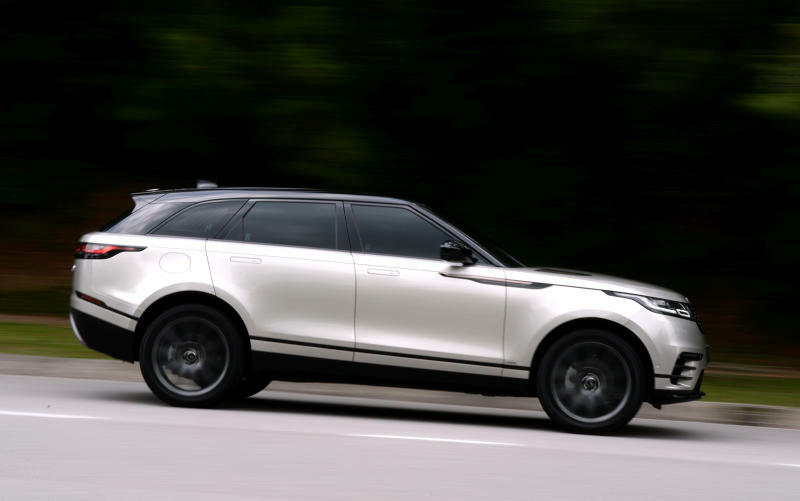 Positioned between the Evoque and Sport, the Velar is the fourth member of the Range Rover family. 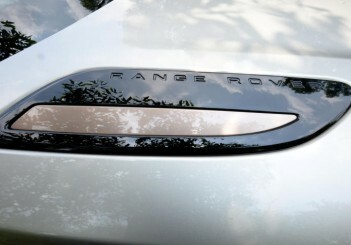 And if you are wondering about the name, it is derived from the Latin word Velare meaning "to cover" or "veil" and refers to the code name for the prototypes of the first Range Rover of the late 1960s. 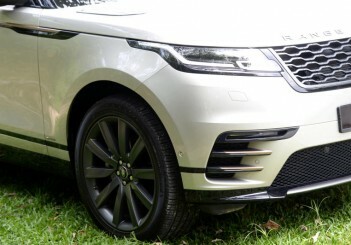 The Velar has a solid, chiselled look with clean and elegant proportions as well as taut, tapered lines on a lightweight, aluminium-intensive body. 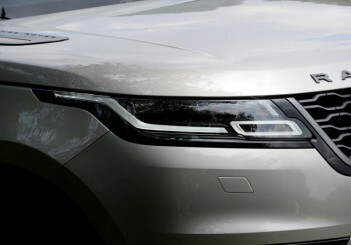 The premium-looking exterior design is also partly due to the Matrix LED headlights and flush, deployable door handles that retract into the doors when not in use. 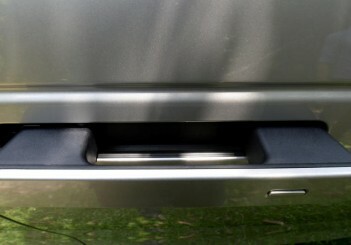 Another notable optional feature are the deployable side-steps, which are stowed under the door sills and automatically deploy as soon as the door is opened, or when activated by the key fob. 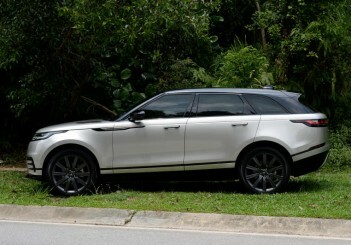 This means you will hear a distinct motorised sound as the side steps deploy, every time you use the key fob or press the integrated switch in the door handle. 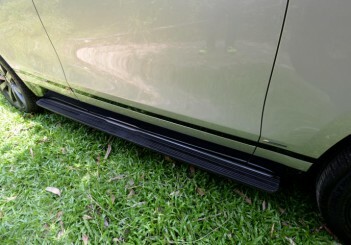 These deployable side steps cost over RM19,000 but Jaguar Land Rover Malaysia says discounts are available. 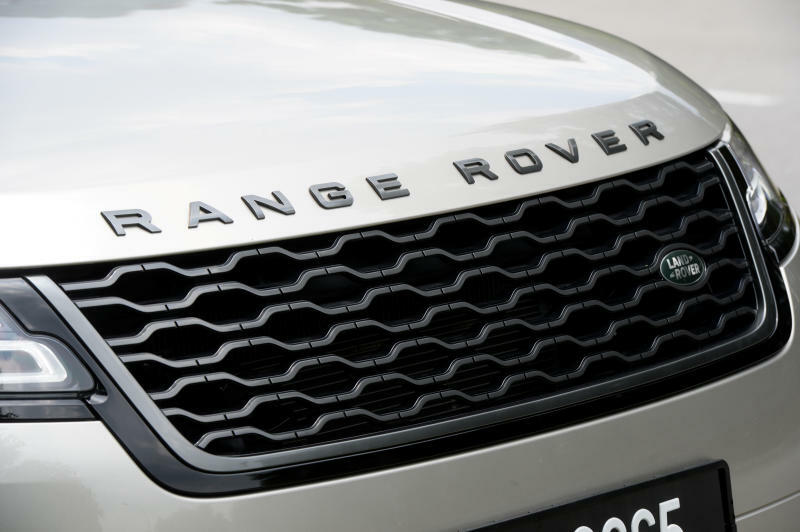 The Velar has a striking road presence, with the foil stamped grille, pronounced air inlets, integrated rear spoiler and clean body lines designed to draw stares and second looks. 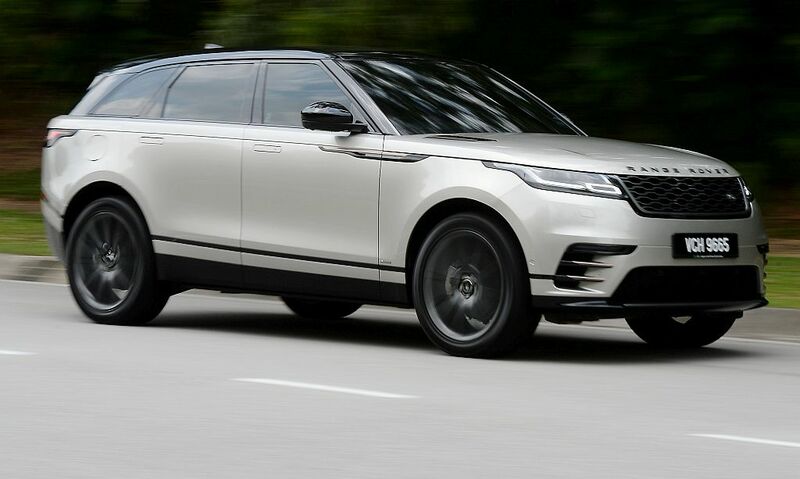 The streamlined looks of the exterior aren't just to attract attention - they contribute to better driving refinement and fuel efficiency, and also help to make the Velar the most aerodynamic Land Rover. The cabin has a classy design that deliberately portrays understatement and smooth, uncluttered surfaces. 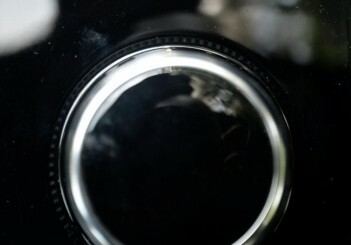 Buttons, switches and display screens are designed to be as simple-looking and unobtrusive as possible. For example, press the engine start/stop button and the rotary dial for gear control/driving modes rises up smoothly on the centre console between the front seats. 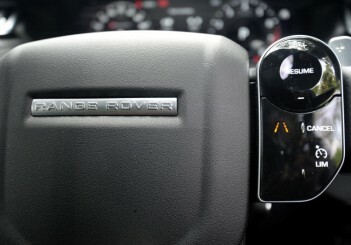 Capacitive switches on the steering wheel allow you to control audio volume by swiping your finger across the switch. Learning to use the control systems takes some getting used to but it's not difficult as essentially it's like using a tablet or smartphone - just touch, swipe, scroll or double tap the screens and switches. 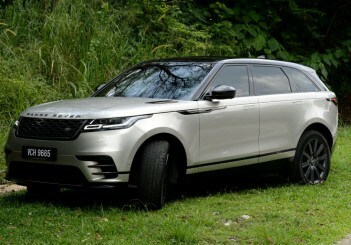 The centrepiece of the interior is the twin-screen, 10-inch Touch Pro Duo infotainment system on the dashboard and these two high-definition touchscreens provide controls for the cameras, air-conditioning, navigation, media and phone functions as well as the Terrain Response system. 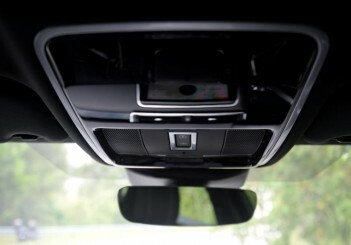 You get superb audio quality from the 825W Meridian Surround Sound system with 17 speakers and subwoofer. 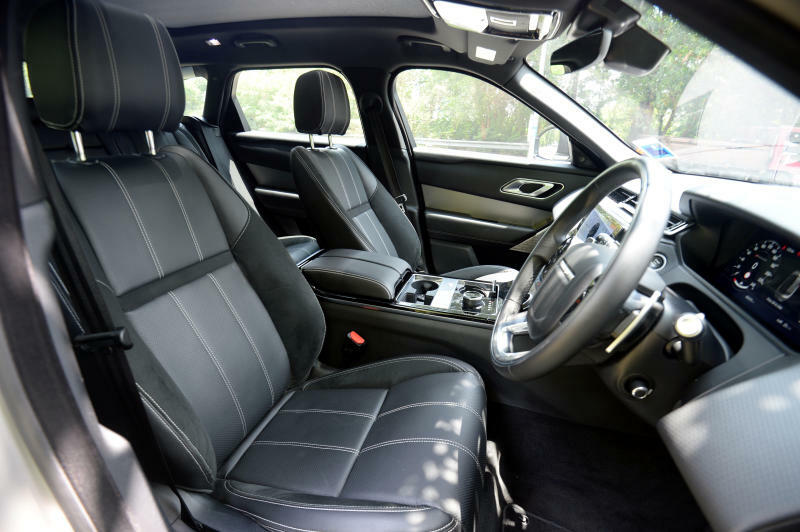 We give a thumbs up to the interior, which is filled with rich, elegant materials - perforated grained leather and suede cloth, high-quality plastics and metallic trim. 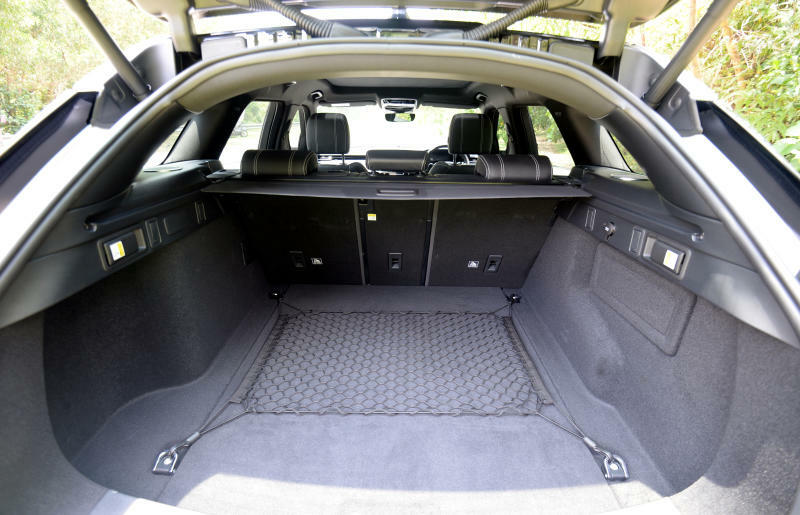 You get a huge 673 litres of rear cargo space (rear seat upright) which is expandable to 1,731 litres (rear seats forward). 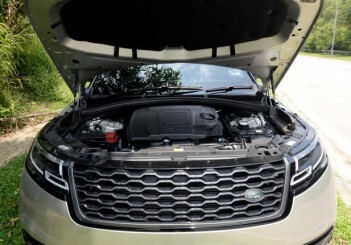 vehicle's engine, gearbox, differentials and chassis systems are adapted depending on your chosen settings: Grass/Gravel/Snow, Mud and Ruts, or Sand. There is plenty of nice kit here including Matrix LED headlights, a powered gesture tailgate, snug and comfortable 10-way seats with Driver Memory, Two-zone Climate Control, Surround Camera system, dual-zone climate control, and even a powered Adjustable Steering Column. In the centre storage box, beneath the centre armrests, you will find a SIM card slot, two USB slots and a 12V power socket. You have an array of options regarding what data you want to see on the digital meter cluster shown on the 12.3-inch high-definition Interactive Driver Display. 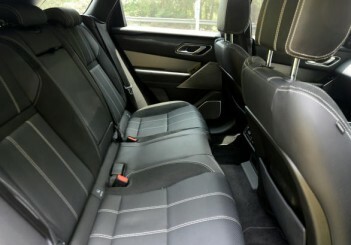 There's also a powered fixed panoramic sunroof, and rear seats can be electrically reclined to a certain degree to provide more comfort for rear occupants. 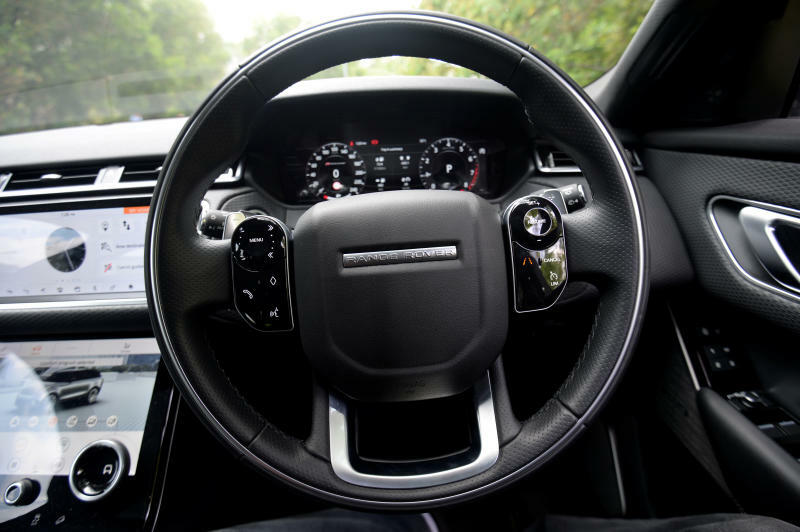 There are a good number of driver assistance systems and safety kit here including Hill Descent Control, a tyre pressure monitoring system, Intrusion sensor, a Driver Condition Monitor, Park Assist, 360-degree Parking Aid, as well as Traffic Sign Recognition and Adaptive Speed Limiter. There's also Lane Keep Assist which applies torque to the steering wheel when it detects your vehicle unintentionally drifting out of the lane. 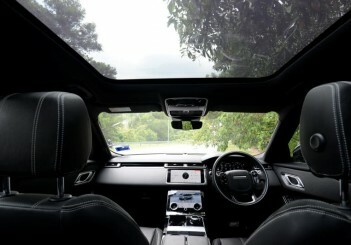 Four cameras, called the Surround Camera System, provides an overhead view of the car's surroundings - this is very useful in tight parking conditions. 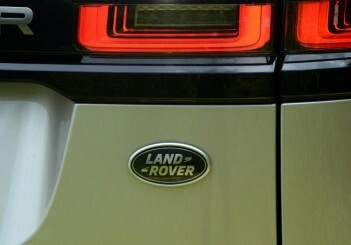 The Rear Traffic Monitor alerts you to approaching vehicles, pedestrians, and other hazards when you want to reverse out of a parking bay. 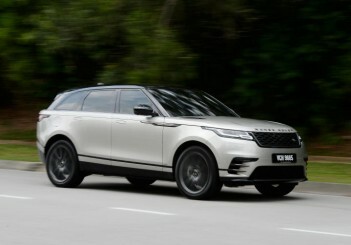 Running on massive Continental CrossContact LX Sport tyres sized 265/45 wrapped around 21-inch wheels, this luxury SUV which weighs over 1.8-tonne gets a Jaguar Land Rover 2.0-litre four-cylinder Ingenium petrol engine with direct injection and twin-scroll turbocharging. 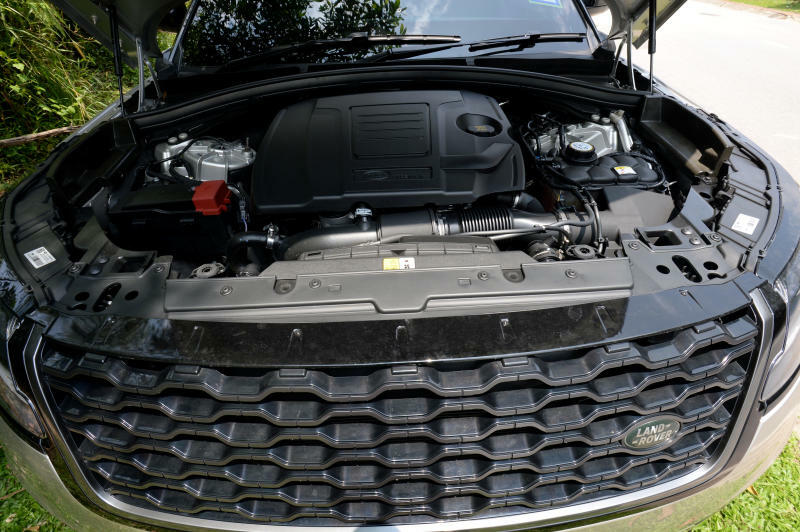 Mated to a ZF eight-speed automatic transmission, the powertrain provides smooth, refined performance with peak power of 250PS and maximum torque of 365Nm (from as low as 1,200rpm). 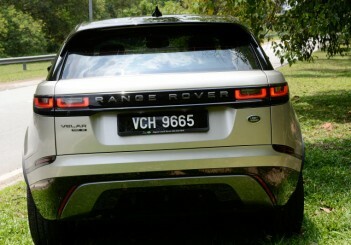 The 0-100kph sprint is done in a quick 6.7 seconds. 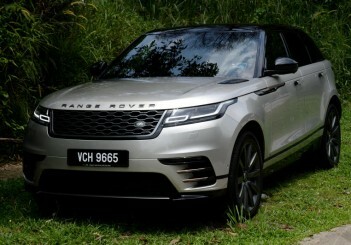 We didn't check out the off-road driving modes as we only had the Velar for a brief period, and didn't do anything more challenging than sticking to a mix of well-paved and poorly maintained urban roads in Kuala Lumpur. It's a big vehicle, but because of its immense power, you don't really feel its bulk when driving. Road imperfections even on badly maintained roads are superbly cushioned, and the cabin is a quiet place thanks to good use of noise insulation materials. 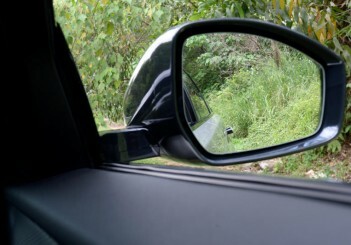 The default driving mode is Comfort, which we were more than happy to stay in most of the time. 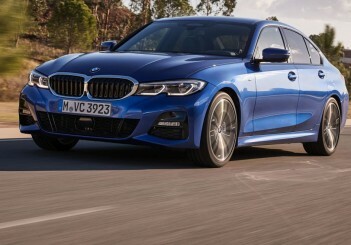 In Dynamic driving mode, the car feels more eager and rev-happy, gear shifts are more responsive, and the ride quality feels firmer. 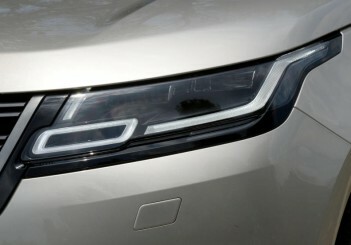 The electric power-assisted steering is accurate and responsive. 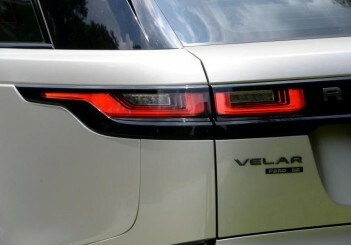 While official data from Jaguar Land Rover says combined fuel economy for the Velar can be a low 7.6 litres per 100km, we did not achieve anywhere close to that figure. We had the car (which has a 63-litre fuel tank) for less than two days, and the trip meter showed our fuel consumption at 15.3 litres per 100km. 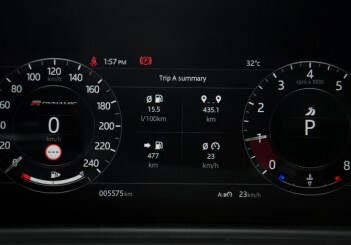 The odometer showed we had driven 124km around the Klang Valley, and the onboard computer calculated we had 363km of travel range remaining. Also, our impatient driving style probably contributed to petrol sucking data. 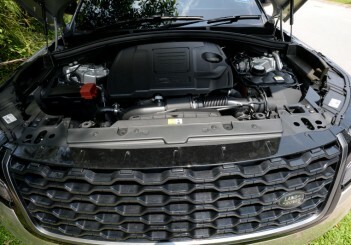 Jaguar Land Rover Malaysia offers a five-year warranty or 150,000km (whichever is first) and five years’ free service or 65,000km (whichever is first) as well as three years’ roadside assistance. 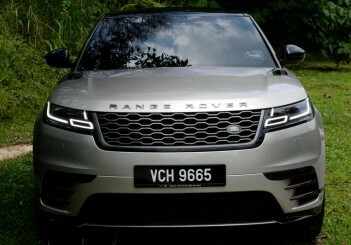 The Velar is what you would expect from a Range Rover packed with new off-road driving technologies and a barnful of creature comforts. 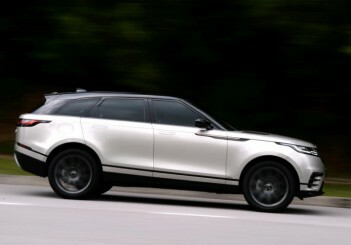 But what really impressed us was the understated luxury and contemporary, clean design of the Velar's interior, as well as the sublime lines of the exterior. 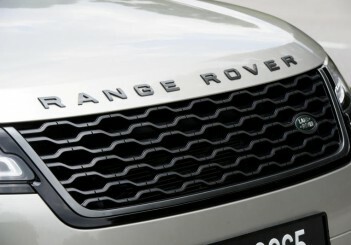 It's a competent driving machine, with a powerful and smooth, refined powertrain. You get a roomy cabin, with plenty of luggage space for those shopping trips or weekend out-of-the-city excursions with the family. The interior bristles with modern tech, but in a very subtle and classy manner thanks to an elegant design approach. 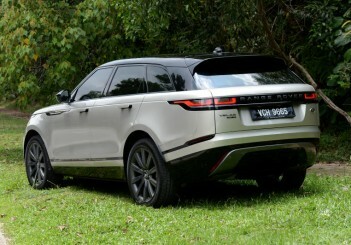 Range Rover has once again upped the ante in the luxury SUV segment, with the innovative design, sleek styling and refined, subtle qualities of the Velar.